For some reason most producers, distributors and exhibitors believe that there is a phase when films are successful and times when they're not. For example, many believe that January is a bad time to release films. Also included in the bad phases are month when IPL/World Cup matches are scheduled and Exam time. 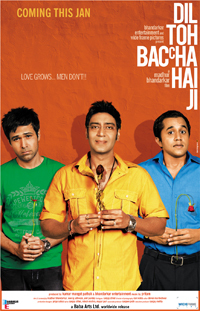 Over the last decade January of each year has been considered to be an unlucky period for the Indian Film Industry. Very rarely have any films been successful during this period. In fact, from 2001-2005 there were no money makers during the month of January even though 68 films were released in that period. In 2006, there was only Rang De Basanti and 2007 just had Guru which managed to make any impact at the box office during January. 2008 was again without any earners. 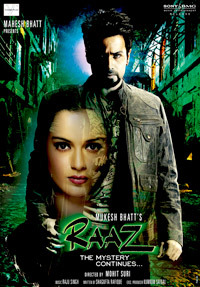 In 2009 and 2010 there were Raaz 2 and Ishqiya, respectively, which made a little profit. So, as you can see even though many films are released in January few are able to leave an impression. Now lets look at this year... January 2011 took a flying start, there were not one, not two, not three, but four hits in the first month of the year. Each week of the month was able to deliver one solid hit. Week 1 - No One Killed Jessica, Week 2 - Yamla Pagla Deewana, Week 3 - Dhobi Ghat, Week 4 - Dil Toh Baccha Hai Ji. The last time the industry had it this good in January was in the year 2000, when Kaho Naa Pyaar Hai and Dulhan Hum Le Jayenge proved to be big hits. So, is January really jinxed or is it just a coincidence? Well, I for one don't believe in jinxes or good and bad phases. The answer is simple there were 4 hits this year because the four films had good stories and the audience appreciated the films. When you have bad stories it doesn't matter what time of the year it is, they won't click. If it was all about phases, no films would fail during the Diwali period which is considered the best time to release a film. But even big budget multi-starers have flopped at Diwali time too. On one hand producers and exhibitors say that in India children don't have the ability to make their parents take them to movies, that's why children's films and animated films don't do well. Then these same idiots claim that releasing films during exam time is a bad idea. Well, geniuses if children don't have any pull with parents what difference does it make if exams are on? Logically, parents can still go see the films. Now don't tell me that they won't go because they can't leave the kids at home. 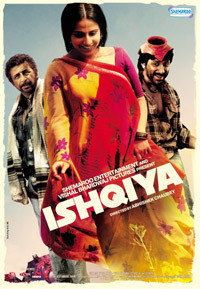 Contrary to what these filmmakers believe; 1 billion Indians do not go to the cinema halls daily. And certainly, as many fans as cricket has in India, I'm almost positive 1 billion people aren't watching each match on television. In fact, the daily attendance for cinema halls in India is in the millions; less than 1.5 percent of the country's population goes to the cinema hall on a daily basis. Approximately, 4 percent of the population watched the recent 2011 world cup opening match between India and Bangladesh. So, you tell me how a cricket match can have a direct connection with films not performing well at the box office. The numbers tell a different story. Chances are people who watch cricket matches are probably not the same people who frequent cinema halls. In the U.S., Canada and Europe, sports like Baseball, Ice Hockey, Football and Soccer are very big and played daily, their population is not even close to India's, yet we don't hear filmmakers from these regions complain about their films not doing well due to sporting events. It's very easy to make excuses when films aren't doing well. But instead of making excuses, why not make better films, so that the audience has no choice but to go to the cinema hall, no matter what day of the year it is. Most people watch films when they're feeling low or want some kind of entertainment to forget their troubles. I'm pretty sure people don't pick phases when they know they're going to feel low or when they would like to forget their troubles. So, it's up to filmmakers to make sure the audience has a reason to be entertained. This year is proof that if you can provide quality cinema, people will watch. Let's stop all this phases and jinx talk and look forward to seeing quality work on screen.